Wet n Wild Megaglo Highlighting Powder, Highlighter. 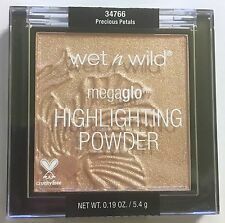 4.5 out of 5 stars - Wet n Wild Megaglo Highlighting Powder, Highlighter. 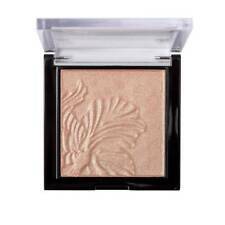 17 product ratings17 product ratings - Wet n Wild Megaglo Highlighting Powder, Highlighter. "HOLLY GOLD-HEAD" #36180. Each computer monitor shows different variations of colors & shades. COMPACT HAS NICE SLIDE-OUT MIRROR. May be loose or without a box. We are happy to help, and will resolve any problems to the best of our ability. 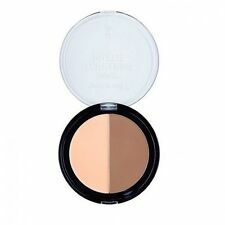 Item: Coloricon Bronzer, 743A (Reserve Your Cabana). Wet N Wild Fire vs Ice Dragon Highlighter 36322 Halo Walkers LIMITED EDITION. Condition is New. Shipped with USPS First Class Package. Its ultra pearly finish and easy to blend formula makes it a fan favorite! 0.19 oz / 5.4 g. If an item was unintentionally misrepresented or a mistake was made on our part, we will make it right! Wet n Wild bronzer. never used. #749A (Dulche De Leche). PRESSED POWDER PALETTE. Trending at $7.93eBay determines this price through a machine learned model of the product's sale prices within the last 90 days. “Holly Gold Head”. Wet n Wild Highlighting Bar. To make sure you are purchasing the correct shade(s), we suggest to do more research prior to purchasing. – Give us a follow @shadesmatter –. Images are taken to best represent the item listed. This is full size & NEW/Sealed Edge. PRESSED POWDER PALETTE. #CATWALK PINK. IT FOR YOU. In one swipe of a stick, you can get catwalk-ready cheekbones, naturally flushed cheeks or an insanely glowy complexion. Available in: Strobe, Contour, Conceal and Blush. Multi-use sticks that conceal, highlight, contour and add a pop of color to the cheeks! 1 Wet N Wild Loose Shimmer Highlighting Powder-Zodiac Collection! 1 Wet N Wild Loose Shimmer Highlighting Powder-Zodiac Collection! Condition is New. Shipped with USPS First Class Package. Back by popular demand, our sold out highlighting powder is here to stay! Easy-to-blend formula that leaves a beautiful velvety finish on the skin! 5 out of 5 stars - Wet & Wild Megaglo Makeup Stick, Contour - Choose Your Shade!! 1 product rating1 product ratings - Wet & Wild Megaglo Makeup Stick, Contour - Choose Your Shade!! Each computer monitor shows different variations of colors & shades. Our highlighter has an ultra-pearly finish and easy-to-blend formula which makes it a fan favorite! May be loose or without a box. COLORICON BRONZER. ~ WET N WILD ~. Shade: Princess/741A. You will be getting the Wet N Wild "I'm So Lit" a loose powder highlighter and I’m including a free brand new Wet N Wild Tapered Highlighting Brush from their Proline line. Please look at my other items. If you would like to do any combined shipping please contact me before buying the items. Please contact me if you have any question or concerns. Trending at $5.97eBay determines this price through a machine learned model of the product's sale prices within the last 90 days. Nice cheekbones! Give yourself perfectly chiseled features with a few strategic swipes. Contouring like a pro is easy with help from this dual-ended stick. The darker shade contours while the highlighting hue puts a spotlight on your best features. 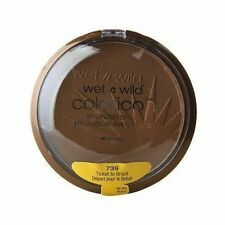 Receive 2(two) Wet-n-Wild Coloricon Bronzers in Princess/741A. COLORICON BRONZER. ~ WET N WILD ~. Trending at $6.15eBay determines this price through a machine learned model of the product's sale prices within the last 90 days. Indulge yourself with Color Icon Bronzer, a gel-infused, long-wearing formula that leaves skin looking luminous and with a sun-kissed glow. Use to highlight your most-loved features and transform yourself into a bronzed goddess all year long. 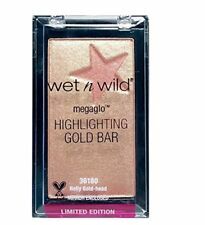 wet n wild Megaglo Hello Halo Liquid Highlighter, 0.5 fl oz - Choose Your Shade!